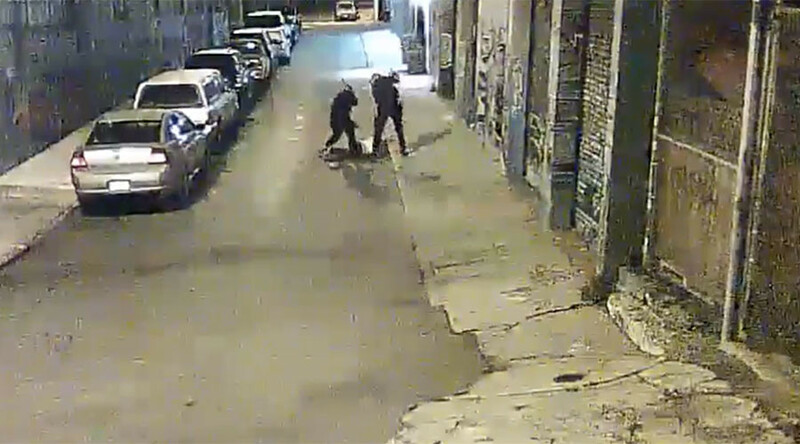 Video capturing someone receiving a severe beating from two baton-wielding Alameda County Sheriff’s deputies also shows an officer taking a “trophy photo” with the wailing victim. But that’s just the beginning of a scandal of theft and bribery allegations. Stanislav Petrov gave chase at about 1:30am on November 12 of last year when police observed him driving a white 2015 Mercedes-Benz C300 sedan, a rental vehicle which had been reported stolen as its lease had expired, the San Jose Mercury News reported. Petrov, 29, upon being approached by police, ignored their commands and rammed his Mercedes into two patrol cars, injuring one officer and disabling his patrol car, before heading out of the San Leandro and Castro Valley area, taking the Bay Bridge to San Francisco, sometimes at speeds of around 100mph. After exiting the freeway in San Francisco, Petrov reportedly crashed into a parked vehicle. That’s when it became a foot chase, ending only when an exhausted Petrov slowed down and lifted his arms in the middle of an alley. When deputies Luis Santamaria and Paul Wieber caught up with him, they pummeled him with at least 40 whacks of their batons. 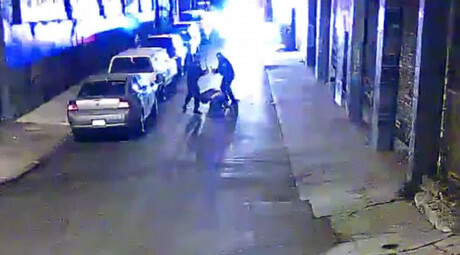 “Probably the worst law enforcement beating on video that we’ve seen since Rodney King,” is how Petrov’s attorney, Michael Haddad, described the scene, according to the Mercury News. Santamaria and Wieber were placed on administrative leave once the security camera footage of the incident was released. But what allegedly followed the beating has led to further allegations and a third deputy also being put on leave. Haddad, joined with Petrov’s other attorney, Julia Sherwin, filed a criminal complaint on Tuesday which included accusations of excessive force. Beyond that, however, it also claimed that upon arrival of around a dozen sheriff’s deputies, at least two of them “took a trophy photo” with Petrov as he “lay bleeding on the ground,” The Washington Post reported. But the criminal behavior didn’t end there, Haddad and Sherwin’s court documents showed. Petrov’s money and a gold chain with a cross medallion were stolen and given away to homeless eyewitnesses as a bribe by police, the filings say. The police department is investigating, according to the San Francisco Chronicle. Two homeless people admitted they had been offered the chain and money as “hush goodies” by a deputy who told them, "I hope you enjoyed the show," and "don't spend it all in one place," according to the filings, which also report the chain was pawned and has yet to be found. That third deputy officer has not been named, but Sheriff Greg Ahern told reporters he was a 20-year veteran of the department. Regarding the matter of the “trophy photo” ops, Haddad and Sherwin have dealt with the phenomenon before. They won an $8.3 million settlement for the children of Martin Harrison, who was an inmate at Santa Rita Jail when he was beaten to death in 2010. That holds as the largest civil lawsuit payout in California history. A police report of the beating on Petrov was accidentally released in a public records request to KTVU, which then shared its contents. The two deputies, one of whom tackled Petrov from behind, feared for their safety, the report claimed, and one deputy even said Petrov reached for his waistband, though the video didn’t corroborate that. Their report didn’t mention Petrov’s injuries to his head or his hand, which were serious enough for Petrov’s lawyers to claim in their filing that his fingers were permanently damaged. According to KTVU, Sgt. Ray Kelly said a search of the Mercedes turned up a loaded gun and drugs to be sold. More video footage could come out. The department announced Tuesday that Deputy Wieber mistakenly turned his body camera on. In the same press conference, Sheriff Ahern said the department’s policy would change to mandating the use of body cameras.